Just a few of the heroes that have been all but erased from history. • The black patriots who were members of Ethan Allen’s famed Green Mountain Boys. • The black patriot who was instrumental in disrupting the efforts of Benedict Arnold. • The black patriot marksman and minuteman who was instrumental in making the British think twice after the Battle of Bunker Hill. • The first black mayor in 1770. • The black female entrpeneur that had a thriving Rhode Island real estate business. • The successful black restaurateur who was sought out by Queen of England for his exclusive menu. 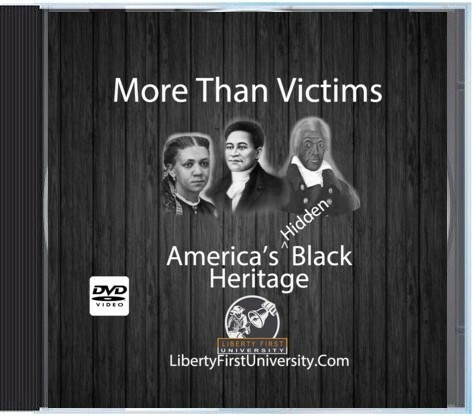 This presentation by JC Hall shares the history of the black founding fathers and mothers who helped make America great. Americans deserve to have the right heroes and to know that they are not just victims in America, but are an essential part of its history and its success. A people separated from their history is a people susceptible to manipulation. Every American should know these names - Black Americans even more so: Crispus Attucks, Wentworth Cheswell, Seymour Burr, Jeremy Jonah, James and Hosea Easton, Job Lewis, Jack Grove, Bosson Wright, Elleanor Eldridge, and Phillis Wheatley. Peter Salem, Cato Stedman, Cuff Whittemore, Cato Wood, Prince Estabrook, Caesar Ferrit, Samuel Craft, Lemuel Haynes, and Pomp Blackman. George Vashon, James Lafayette, Pomp Fisk, Grant Coope, Charleston Eads, Titus Coburn, Cuff Hayes, Charrles Reason, Fanny Jackson Coppin, William Cooper Nell, Thomas Downing, George T. Downing, James McCune Smith, Frederick Douglass, and Caesar Dickenson. Discover these great African-American founding fathers and mothers in JC Hall’s More Than Victims.